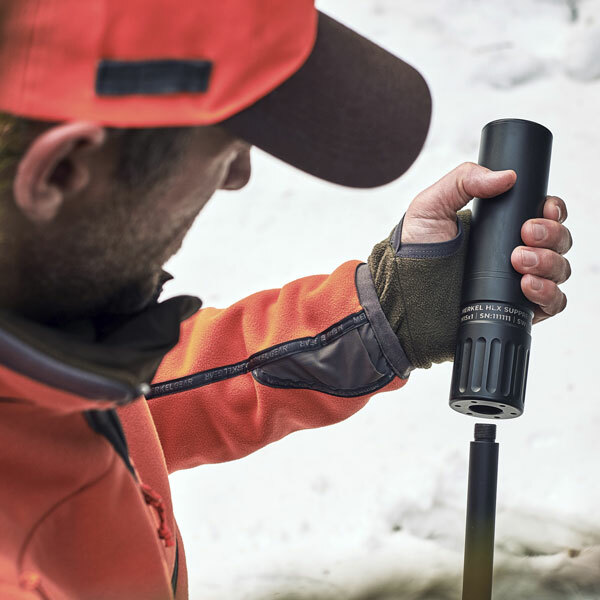 In many countries in the world, the use of suppressors for hunting purposes is allowed. 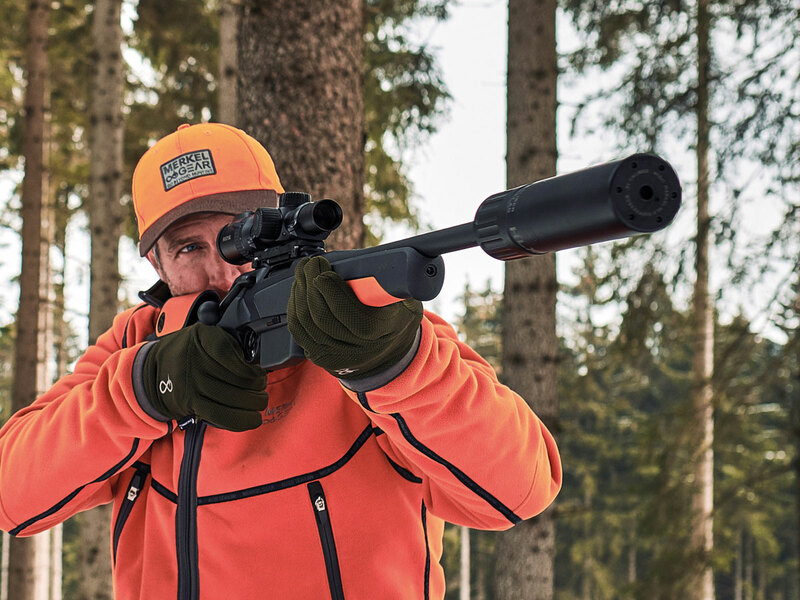 In others – as in many German states – a hunter needs an official permit for a suppressor. 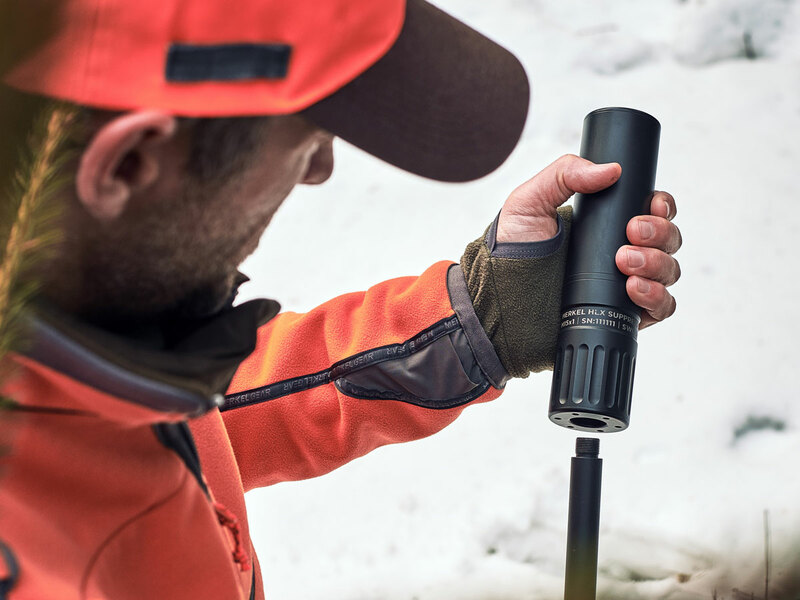 Whoever is allowed to use a suppressor conserves his hearing, the surroundings, the hearing of his dog and prevents stress for the hunted animals. 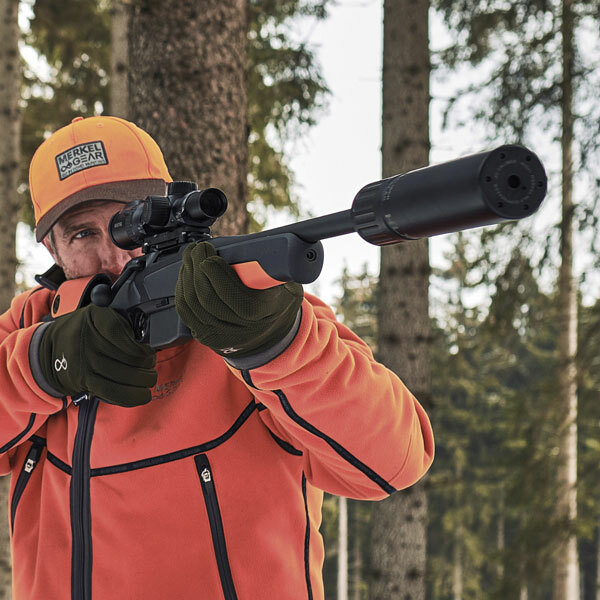 But a suppressor is not only a hearing protection to mount: The new HLX Suppressor by Merkel has been developed in cooperation with the Swiss specialist B&T. It fits on every barrel with a M15x1 muzzle thread. 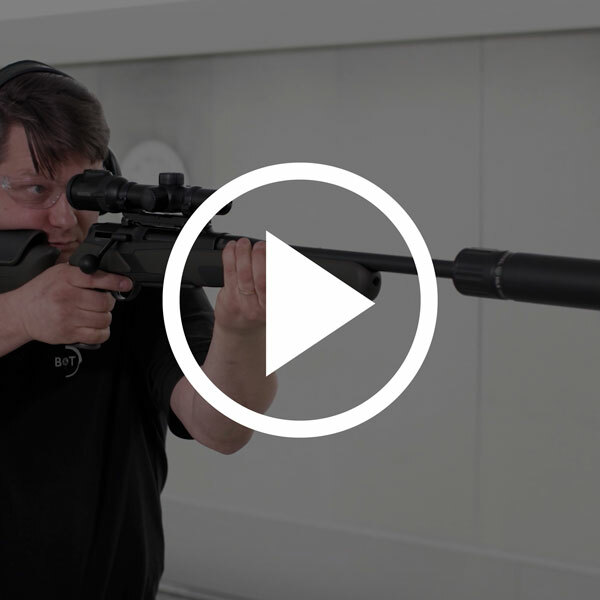 The Merkel SHL Suppressor verifiably reduces the peak sound pressure of the muzzle blast in every calibre by a minimum of 30dB(C) – this is the minimum required in some countries. Furthermore it reduces the recoil while shooting. 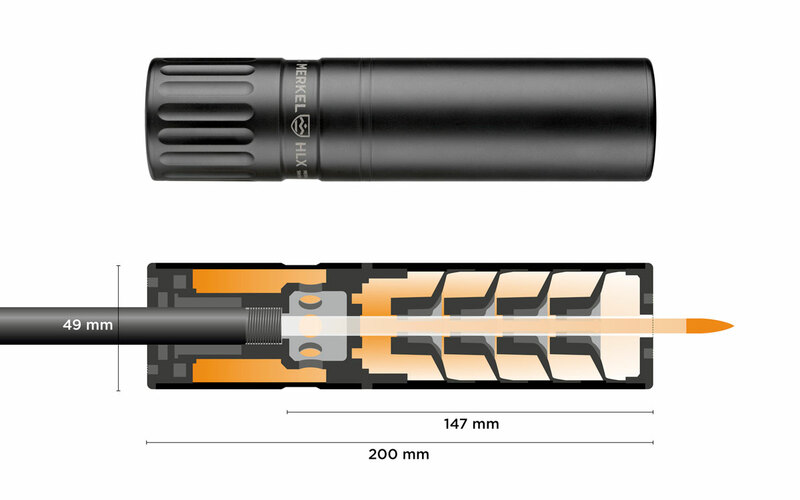 Fitted on a Suppressor barrel, the barrel together with the suppressor is no longer than a standard barrel.